The police have been advised to look beyond the current notion that Toyin Hamzat, who was murdered in Sagamu, Ogun State penultimate Sunday, was killed over issues concerning a certain female companion. This advice was given by the chairman of Aiyepe Muslim Community, Musibau Oyefeso, at the eighth-day fidau prayers for the repose of Hamzat’s soul. Oyefeso urged the police not to foreclose other clues in their ongoing investigations. Hamzart, who was the former chairman of Ikeja Local Government Area of Lagos State, was said to have been murdered after dropping off a female companion. The unnamed woman, her husband and three others are reportedly helping the police in their investigation. 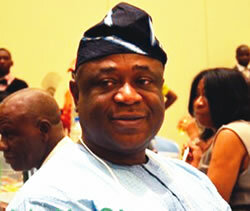 According to Oyesfeso: “He was a very responsible man, the husband to a magistrate in Lagos State. So, we want to seize this opportunity to call on the state government to ensure justice regarding his assassination and secondly, we want to urge the police not to create media hype over his killing. The Lagos State commissioner for infrastructure, Femi Hamzat, who spoke on behalf of the members of the State Executive Council between 2004 and 2007, said the last time he spoke with Hamzat was before the Umrah, (lesser hajj), but did not know that that would the last time they would talk. The representative of Ibadan Grammar School, Old Students Association, Lagos Branch, Dayo Onakoya, commended his generosity.